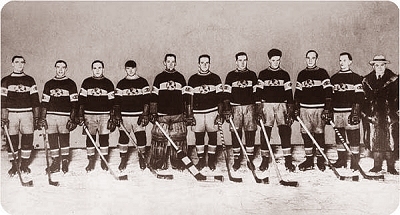 In 1924 the Canadian won his second Stanley Cup. He must defeat two contenders is in order, Vancouver, Champion Hockey League Western Pacific, and Calgary, Champions Hockey League in Western Canada. The Tricolor first beat Vancouver 3-2 and 2-1, then prevailed then opar Calgary 6-1 and 3-0. Since the temperature is too lenient in Montreal, the latter match was played in Ottawa where he had artificial ice. Note that while the Canadiens fielded a total of 11 players.